As a pastor, speaker, writer, and coach, Tripp displays his passion to see students discover and live God’s very best for their lives and be empowered to change the world. Tripp is highly driven to not only challenge and equip students himself, but also empower others to be successful in leading students. As a speaker, Tripp has challenged students in conferences, schools, churches, and camps across the United States, as well as Russia, Romania, Hungary, Haiti, Dominican Republic, Guatemala, Kenya, Israel, Jordan, and the Bahamas. Tripp enjoys sharing his twenty-two years of ministry experience and unique life experiences with other pastors and leaders of students. He pours into other educators and youth ministers through conference speaking and organizational consulting, as well as one-on-one coaching. 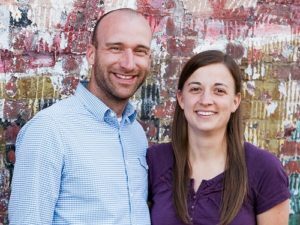 Tripp is one of the founders of the Haiti Orphan Foundation, which exists to bring hope and provision to children in Haiti through the Gospel of Jesus Christ and partnerships with local churches and community education programs. The vision of HOF is to raise young leaders in Haiti who are equipped to bring lasting change in a country that desperately needs hope. Tripp holds a Bachelor of Arts in Religious Studies from Gardner-Webb University, a Master of Arts in Christian Ministry (Discipleship and Church Ministries) from Liberty University Baptist Theological Seminary, and is currently working on a Doctorate of Education in Christian Leadership from Liberty University Rawlings School of Divinity. Tripp Atkinson, his wife Courtney, and their three children live in the Metro Atlanta area where he currently serves as one of the Pastors at Sugar Hill Church. Prior to this, Tripp served as the Student Minister of First Baptist Church Columbia in South Carolina for over ten years. Tripp also has experience in law enforcement and coaching high school football. His greatest joy in ministry is seeing students realize the impact they can have as leaders in their school, church, community, and world. The following are organizations that Tripp either serves on the Board of Directors for or works closely with and supports personally. Each is making a significant difference in a unique way. Please consider supporting these ministries as they impact lives in their community and around the world. 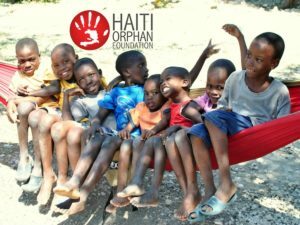 Haiti Orphan Foundation exists to bring hope and provision to children in Haiti through the Gospel of Jesus Christ. The vision of HOF is to raise young leaders in Haiti who love Jesus and are equipped to bring lasting change in a country that desperately needs hope. Part of the DNA of Sugar Hill Church is to serve others outside the walls of the church building. Sugar Hill Church is making a significant difference in northeast Atlanta through dozens of outreach initiatives in local schools, city government, and community involvement. SHC is also making a difference through a number of ministry partnerships around the world. 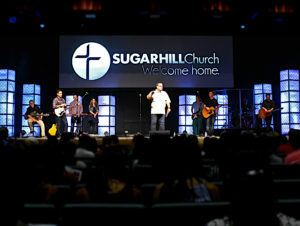 Check out how you can be involved at http://www.sugarhill.church/missions/. 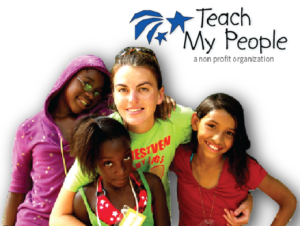 Teach My People in Pawley’s Island, SC is a unique ministry that takes in ten new first-graders per year who are facing significant economic, academic, or social challenges. TMP makes a twelve year commitment to those students to provide year-round high quality programs that are spiritually driven and “no-cost” to families who are served. Through the expertise of dedicated staff , along with the loving support of over seventy community volunteers, TMP is able to provide academic assistance, character development, cultural and spiritual enrichment, and physical activity daily to ensure that students succeed in both school and life. Camp Longridge is a Christian camp and retreat center tucked away in the deep, piney woods of Ridgeway, South Carolina; just a short drive from the greater Columbia area. In additional to providing rental space throughout the year for churches, ministries, and organizations, Camp Longridge provides life-changing summer programming for children and youth. Thankful for your passion & influence!! I love investing in kids as a father, administrator, coach, and small group leader. This is my passion and purpose. So thankful for God’s plan for my life. I pray you know yours. If not start, start each day on your knees and in scripture praying for wisdom.